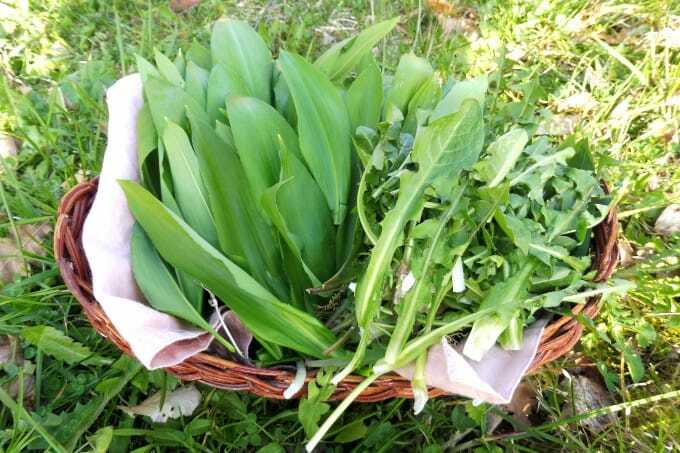 This is the perfect time of the year (early spring) in Europe to go foraging for ramp (wild garlic) and young dandelion leaves. Once you manage to get these greens with impressive medicinal benefits there is plenty of possibilities you can do with them. From pesto, hummus, soup, to salads, they are not only great to detox our body. It’s a unique opportunity that lasts 2-3 weeks in a year so watch the nature carefully. 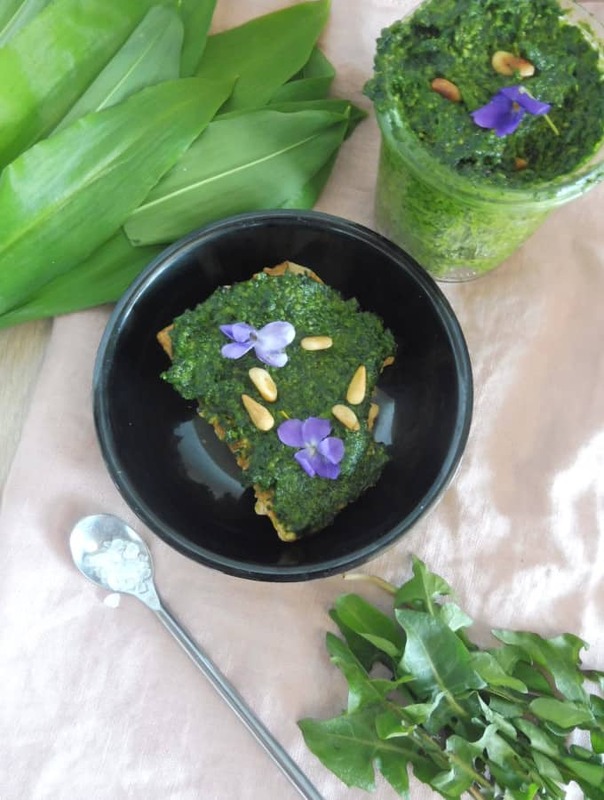 Easy to make wild pesto with fresh ramp and dandelion leaves ix not only nutritious but its natural properties create a detoxing effect for your body. Its mildly creamy texture and taste after garlic is ideal with pasta, mashed potatoes or in sandwiches. This pesto is actually a mild natural antibiotic. Therefore, it is recommended for inflammation of the upper respiratory tract. But bear garlic can also cleanse the digestive tract from unwanted parasites. It is suitable for diabetes, lowers blood cholesterol and cleans the blood. Therefore, in the spring, herbalists advise to consume it while it is available. The season of ramp is really short so if you are lucky enough to catch it don’t hesitate and go for some before it’s too late. Be careful as wild garlic can confuse this great plant with poisonous lily. The main distinction is smell. To be sure just rub the leaves between your thumb and forefinger to release the oils. 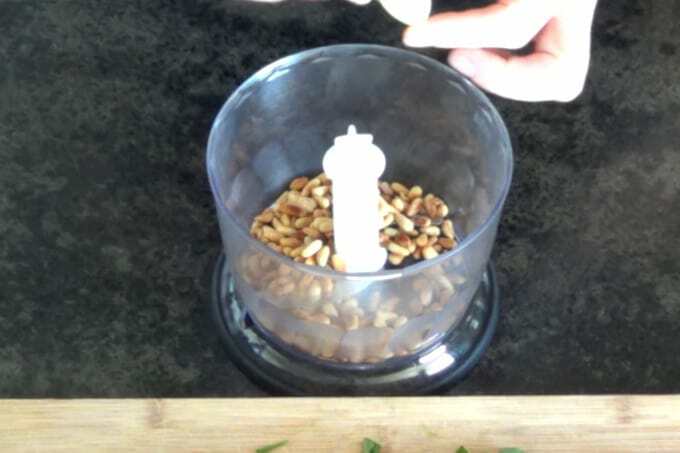 Take a deep sniff — you should smell fresh garlic or the mix of garlic and chives. Wheres lily of the valley doesn’t smell anything like garlic. Wild garlic is packed with vitamins, minerals, iodine, and other healthy substances. It is actually a mild natural antibiotic therefore, it is recommended for inflammation of the upper respiratory tract. 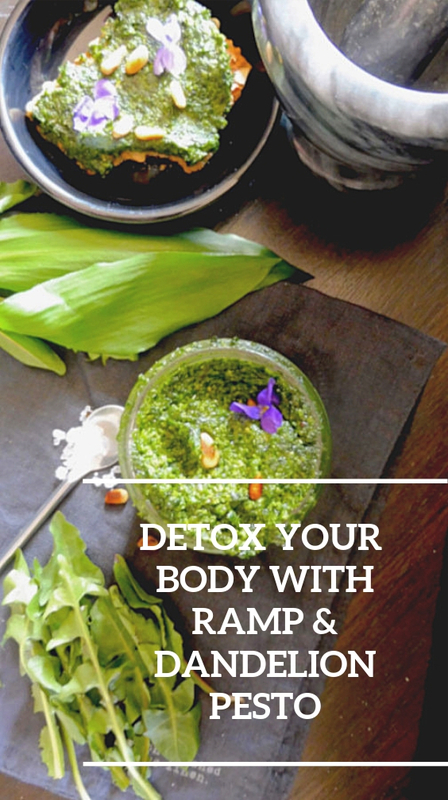 But wild garlic can also cleanse the digestive tract from unwanted parasites. It is suitable for diabetes, lowers blood cholesterol and cleans the blood. Therefore, in the spring, herbalists advise to consume it while it is available. 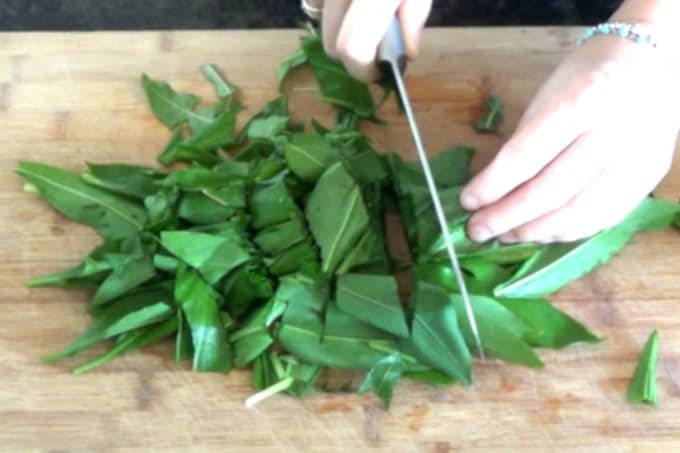 All parts of dandelions are edible with many health benefits but in this particular recipe, we will explore on dandelion leaves. If you want to use dandelion leaves in your dishes – salads, pesto, soup or smoothies make sure you collect them when they are young and crunchy. While mature dandelion leaves are quite bitter, the young ones are pleasantly bitter just enough to clean your digestive system. Packed with vitamins and minerals they will enrich your diet and plate. The name of dandelion is derived from the leaf shape. “Dents de lion” in French meaning teeth of the lion, they are an important characteristic of dandelions. The leaves are hairless with toothed edges. the orientation of teeth is very important as they point back toward the basal rosette center. Its diuretic properties might help you reduce water retention, increase urination and help the liver to remove toxins. 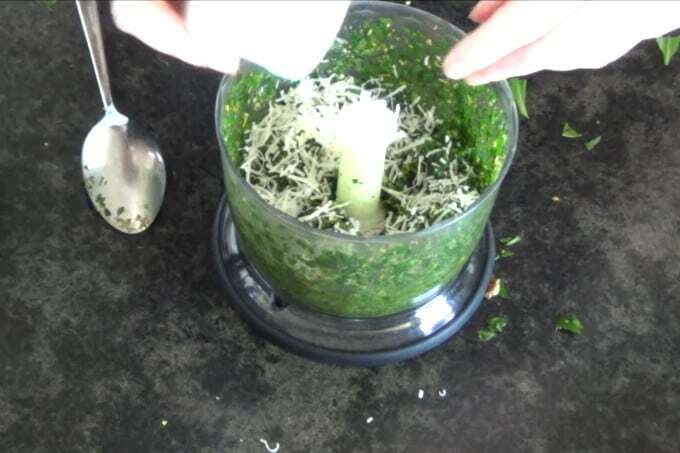 When you are making your pesto make sure you make it as soon as possible from the collection of leaves as they fade very quickly. 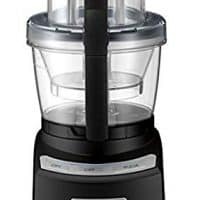 Use small and effective food processors. Also, pay attention to the selection of olive oil, it’s imperative to use high-quality virgin olive oil to achieve your desired taste of pesto. I used freshly grated Parmesan cheese but feel free to use Grana Padana instead. Just don’t buy pre-grated cheeses as they are usually coated with silica to avoid sticking together which obviously affects the taste. 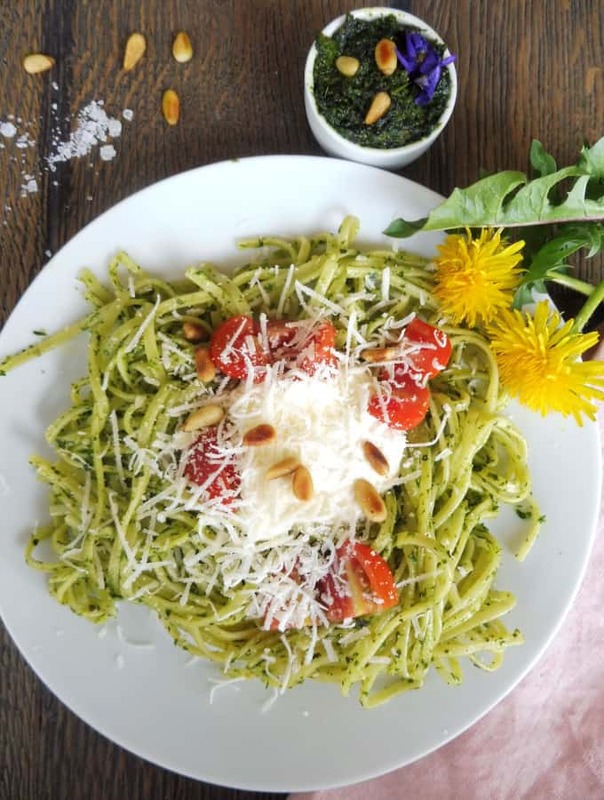 Full of protein and iron, pine seeds are loaded with many medical benefits and I found them important for this pesto recipe. I understand they are expensive and can be replaced with walnuts or pecans. As the wild garlic is garlicky in taste you might not need to add additional garlic into this recipe. It really depends on your taste and preferences. Taste it and see. Once you finish your pesto you can add it to your pasta. Just mix pesto with well-cooked pasta of your choice. You can add some sour cream or cottage cheese to make it milder in taste. Alternatively, mix the pesto with mashed potatoes or add it to the salad. I love to put my pesto on the chicken, fish or toast. The possibilities are endless. 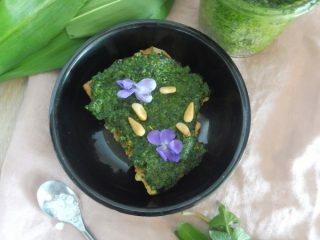 How to store homemade ramp & dandelion pesto? Homemade ramp pesto lasts about a week or two in the fridge. To extend its shelf life to 3-4 months place it in the refrigerator. 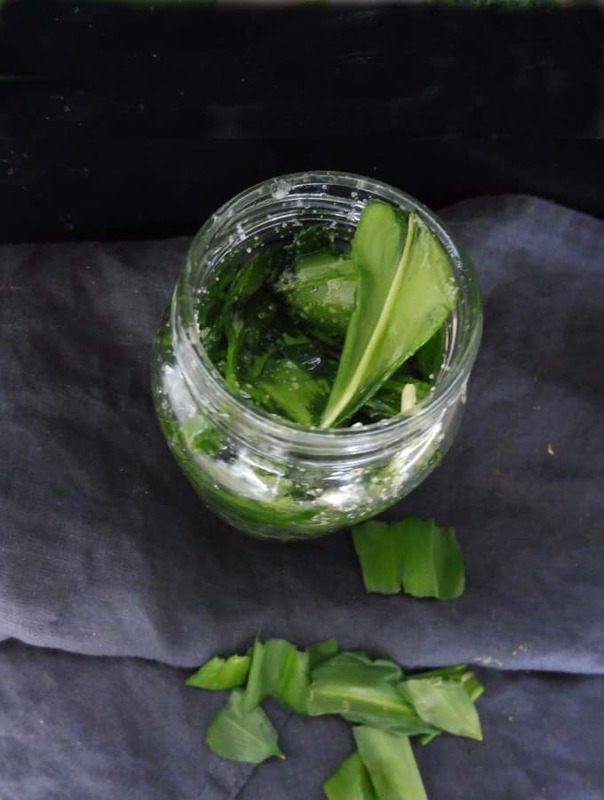 How to preserve fresh ramp (wild garlic) or dandelion leaves? As the season of the ramp and young dandelion leaves is short you might want to store them for later. You can preserve them with salt and a little bit of olive oil. Rinse them first, chop them and mix them with salt in the following ratio: 3 cups of herbs: 1/2 cup of salt. Add 2 spoons of olive oil and store it in airtight jars in the refrigerator for up to six months. 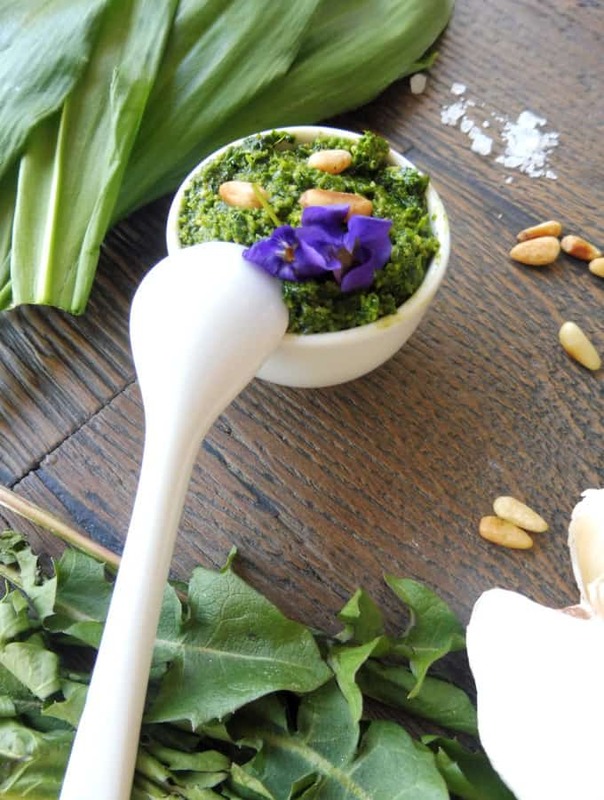 Detox your body with this rich in nutrients pesto made of the ramp and young dandelion leaves.